If you’re a real estate investor and you are considering “flipping” properties, over time, you will discover common risks in every deal. The first thing that should be touched on is that flipping houses is a popular, great way to earn a relatively large profit in a rather short amount of time, especially during a seller’s market. The problem is there are times when the real estate market can be going through a period that is known as a buyer’s market. Recently we had a period when foreclosures were at an all-time high, which means that the market had suddenly been saturated with properties for sale. While this is excellent news (believe it or not) when it comes to getting your hands on a property at a lower price, it can make it quite difficult to convince buyers to pay top-dollar when there are better bargains to be found. This, of course, is one of the primary risks involved in the real estate investment venture that is known as flipping properties. The massive profits that most investors seek cannot be accomplished if the property cannot be purchased at a smart price, rehabbed, and sold quickly. An inability to sell the property that is being flipped is probably the worst fear of every real estate investor who engages in this sort of investment. In these cases, it is often better to drop the price and take a loss than to hold out for a better price risking further losses in the future. Another common risk when flipping properties would be the risk of seriously underestimating the amount of money that will be required in order to do the necessary work. This is something that a lot of first time real estate investors find is a fairly common occurrence. Most people have unrealistic expectations of exactly how far their dollars will go when it comes to investing in the materials and labor needed to properly rehab a property. Even minor cosmetic repairs throughout a house can easily run into several thousands of dollars in order to repair. The flip side is that once these repairs are made the potential profits run into several tens of thousands of dollars. Another risk that isn’t often considered is the risk of overestimating abilities. This is one risk that costs not only precious time but valuable money as well. 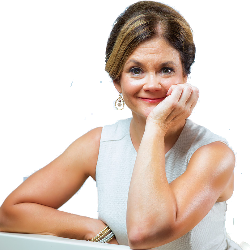 Not only is material wasted in the process of discovering you aren’t exactly skilled in any particular task, but also there are further expenses (often unplanned) involved in hiring a professional to repair the damage and replace the material that was wasted. When in doubt, it is almost always best to hire a professional if at all possible. This also leads to missing deadlines, going seriously off schedule, and adding yet another mortgage payment (if not more than one) to the overall price of the project. 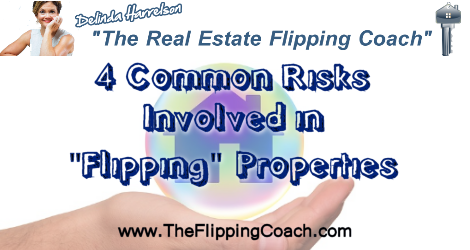 The fourth risk when flipping houses is often something that simply cannot be seen or anticipated. The unforeseen happens every day. Markets crash; local economies can be devastated by the announcement of a major employer that it is going out of business (thinks of the collapse of companies such as Enron and World Comm and what they did to local economies). In these instances, the market will take quite a while to recover from the shock to its system and ‘flippers’ among other investors are often left feeling just as lost and devastated as those that were victimized by these companies, both through no fault of their own. Stuff happens! And those things that we have absolutely no control over are almost always the things that affect us most profoundly. The same holds true when it comes to property investment. The state of the economy, the housing market in an area, and sudden announcements that affect either can often have the most profound impact on those who are investing in property in those areas whether for better or for worse. The trick is in deciding which risks are acceptable. These are not the only risks associated with flipping properties, but reducing and analyzing these risks listed above will help you avoid some of the most common risks involved in “flipping” properties.